To ensure best quality it is critical to gain a mass of projects using CMUSphinx, for that reason we are pleased to present a newly announced ILA Voice Assistant which is pretty interesting for several reasons. First, it uses Sphinx4 for speech recognition, second, it can learn while you interact with it. This is an interesting idea which many developers tried to implement, however, it is not trivial as it may seem. From our opinion, ILA came closer to perfection here. Using latest Sphinx4 features ILA can learn new commands from you and it also learn your voice while you speak with it improving the accuracy of recognition. ILA designed to run on your desktop or media center PC and integrates into your home enviroment with ease. ILA can search the web for you, find locations, get directions, start timers, read news headlines, open programs, execute system commands and much more! It's especially fun when used with a bluetooth headset or microphone array to freely move around in your home while talking to ILA. Nice thing here that everything works offline so your data remains on your server and is not sold to anything else. This is so rare in our days. ILA is frequently updated with a large list of features implemented in every update, it's very exciting to track the progress of the releases. 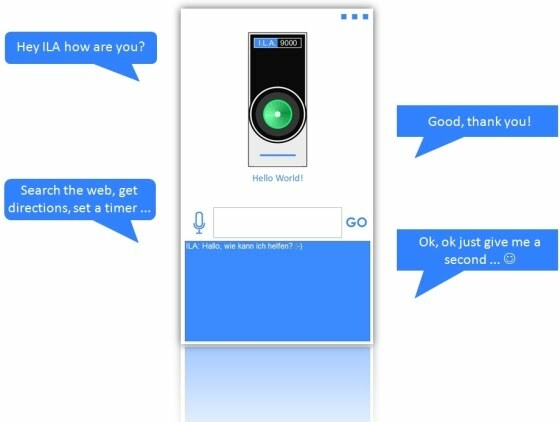 Not many voice assistant projects have more than 2 releases and go beyond simple command-and-control, we know numerous examples where project stopped development after 1 month of work without getting critical quality, hopefully ILA will be different.